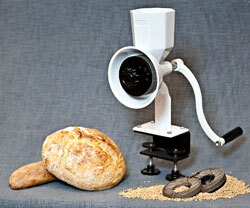 Why would you need a hand grain mill in your home? One major reason is just in case of a natural disaster! These event usually don’t come with much warning and can throw life as we know it in to complete chaos! My friend has told me of the time she lived through a terrible ice storm of Kentucky in 2009. 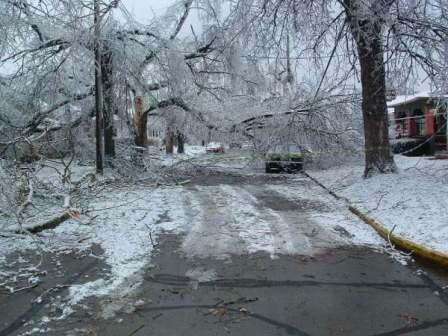 The ice was so heavy that it took down trees, power lines and froze everything for weeks! You couldn’t get in and you couldn’t get out. 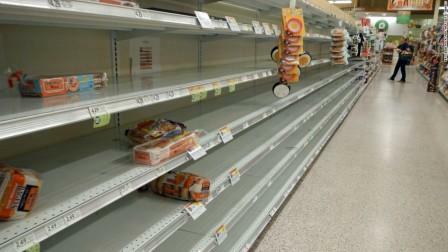 No food was coming to the grocery stores and her family was without power for 3 weeks! It would be wise to have a hand grain mill and various grains stored in your home so in case of your store shelves look like that photo above! 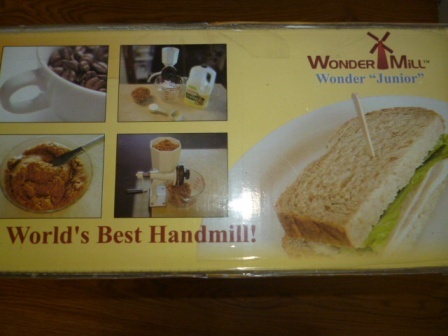 What I love about WonderMill’s Junior Deluxe hand grinder is it can grind a variety of foods besides just wheat! It can grind corn, peanuts into peanut butter, almonds into flour or almond butter, black beans, cashews, chia seeds, black peppercorn, brown rice, cinnamon sticks, coffee beans, couscous, soybeans, and the list goes on and on and ON at willitgrind.com! Many of these items are inexpensive to buy and store them so if you needed to make your own food in an emergency it would be a huge blessing to have a hand grain mill on hand! Just a couple years ago this hit close to home for me. We had a cold and snowy winter followed by an early spring melt off. 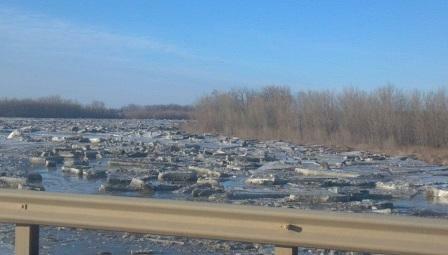 Giant chunks of ice floated down the river, covered roads completely, took out bridges, destroyed everything in it’s path-it was crazy! 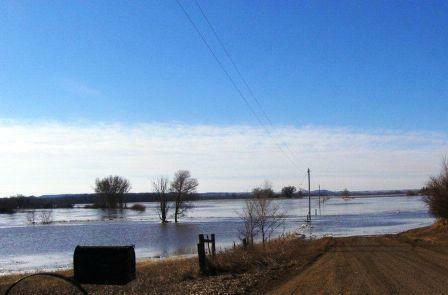 Roads were completely washed away! See the power lines? That was the road that lead to town! Completely covered and gone! 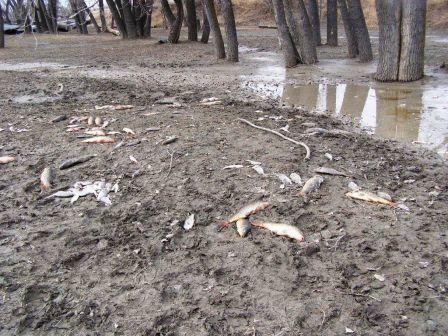 The fish in the river were thrown to shore in between the ice blocks too. I know in many emergency situations people may thing, we have a plan, oh if it gets bad and we can’t get food in for the grocery stores, I’ll just run down to the river and fish or hunt. There were groups of people combing the shores throwing the live fish back into the river. Seeing so many fish not make it made me realize that I can’t count on the natural resources always, I knew then I needed to get prepared for an emergency. 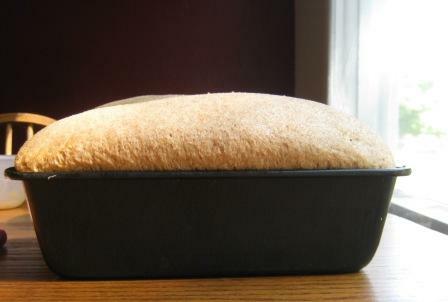 It was actually a few weeks after this that I began searching for the best hand grain mill. That is when I bumped into the Junior Deluxe Hand Grain Mill by WonderMill. I had spent weeks searching, reading reviews, seeing what some could do vs others. I loved that this mill didn’t require power. I loved that it could grind so many different foods where as other mills couldn’t hold a candle to this one! I’ve been using it over the course of the last year and have recommended it to family and friends. I love that I can grind wheat into flour and make whole wheat tortillas or wheat bread over a fire or hot coals and be able to take care of my family if an emergency were to outlast our food in our pantry. It is just gives me a peace of mind. A definite must for anyone looking to prepare for an emergency situation! 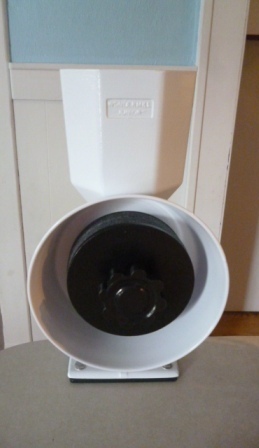 You can purchase the Junior Deluxe Hand Grain Mill from Amazon for $219 and get free shipping! What would you grind first in your WonderMill?Leave me a comment below to let me know! Disclosure: I received the product mentioned above to gain and opinion to share with you. Regardless of this arrangement I was not required to share a positive opinion, the views posted above are my own.